Watches. Roses. Silver medals. Things just rise to a new level of opulent superiority when they're plated in gold. 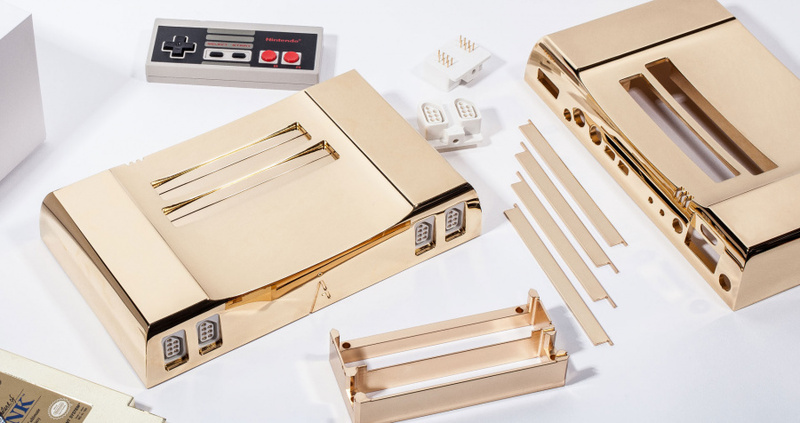 And if you prefer your NES and Famicom games to be played among the top 1 percent of ways, there's a limited edition gold-plated system for you. Analogue, the company that previously produced limited runs of a high-end Nintendo-playing console called the Nt, has outdone itself with an ultra-limited production of its system in 24k gold. According to the product page, this version of the Analogue Nt has an aluminum body plated "from the inside out" in pure gold, but also sports a transparent baseplate so you can show your polo club all the fancy circuitry within. 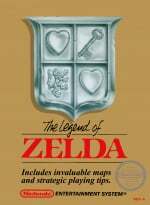 Each system is said to come with an original, gold-coloured copy of The Legend of Zelda, although the display photo above shows a copy of Zelda II: the Adventure of Link. Either way, the cartridge is gold-coloured and it's not like there's any big difference between Zelda games, so who's quibbling? You can also choose an upgrade to HDMI if RGB is simply too pedestrian for you. The run is limited to only 10 units, each priced at $4,999. You'd want to reserve yours quickly by emailing the company, but Donald Trump has probably already bought them all. kind of a ugly look for the system why not make it look like the original NES or the nes remodel? @STiger this is made out of original hardware. I've been interested in the basic AnalogueNt for a while now, but its on the expensive side for not including the HDMI upgrade and also not supporting SCART at all. @UboaNoticedYou Because there's always those quite rich collectors who would really like to have this in their collection. Oh great timing, I actually had $5000 and I had no idea how to squander them. "it's not like there's any big difference between Zelda games"
@BetaBugs64 The games couldn't be more different, although they're both great in their own ways. Personally, I prefer Zelda II. Now we need a nes gold zapper that shoot diamond bullets, a R.O.B. made out of platinum and a power glove made out of silk. Because you made a Donald Trump joke, @TimLatshaw, let me make another one. It actually makes the gold cartridges look less tacky since it looks so tacky. @UboaNoticedYou If you mean old NES motherboards and such: no, it isn't. The Analogue NT is made from the ground up with custom manufactured, new motherboards. Only some of the chips on it are refurbished, but most of those have been cloned, but all with help of the original schematics. So, for all intent and purposes this is a completely new NES, and as an added bonus, one that is region free as well. Connectors and so on are also either partially refurbished or newly made. And obviously, all the added video and audio hardware is new as well. @TimLatshaw: You forgot a key detail, Mexico is paying for them. I just received my regular Gold NT a few days ago and it looks better than this. It also cost me $4400 less. @SomeBitTripFan Okay. Let's not get debatably carried away, OKAY? @John_Enigma: Carried away by security for protesting at a Trump rally? Okay, I'll stop now. I actually thought long and hard about picking up the standard model, but the reviews were pretty conflicting. Some adored it, others commented on noticeable input lag. It looks kind of tacky.. Still, it's plated gold. That's neat. "Either way, the cartridge is gold-coloured and it's not like there's any big difference between Zelda games, so who's quibbling?" Clearly this was said with some sarcasm but it still bothered me to read it. Zelda II, great but very different. Oh, and the controller not being gold kills this for me. I NEED THE CONTROLLER TO BE GOLD. I'm just gonna go ahead and buy the $150 NES AVS coming out soon. It has online leader boards for point based games, and the HDMI port is already included at no additional charge. $5000 for gold plating is stupid. What does it cost, $800 for gold playing? And the Zelda comment? That had to be troll bait. No Nintendo journalist is that ignorant of the two Zelda games on NES right? @elric257 In the accessories section it says you can buy a European SCART cable, so I'm guessing it's supported. Meh, not interested. I will wait for the premium model. It's only plated. My paperweights are all solid gold. Now, would you happen to have any grey poupon? Don't buy this thing, it's not worth it. The thing can't even play every NES and Famicom games ever made. For $5000, you're better off just sticking to the official systems and play your games there. Quite frankly, only suckers pay $500 for the original system. People really do have more money than sense. That's great, but do you still need to blow into the cartridges to make it work? Meh, I'm more of a plastic kinda guy. For $5000 I'd expect the gold cart to be Nintendo World Championships.